Last week my Drill girls had a performance for their parents. I invited my friends and family as well. The girls did a good job. We had some little problems that need to be fixed. This performance is to get ready for competitions. Which start in one week. AHHHHH! I'm so sick to my stomach. It is just so difficult being on the other side of this. You want them to do so well. I never was nervous as a dancer..... but I tell you as a coach, I am nearing panic attack waters. Wish me the best! Jamie started playing indoor soccer this year. He is doing great! I am so proud of him. He plays every Friday night at an indoor soccer league in Murray. I think he is improving every week. The first week he played he got a kick to the shin and his shin guard cut him...... I would be okay with that being his only injury this season. Here are some pictures from a Halloween Carnival my drill girls did in October. Love them! My dance studio girls performed at The Scarecrow Festival this year. They did an amazing job. I am usually stressed out but this year I felt very prepared. They did better than ever. I am extremely pleased with my team this year! So I know I'm a little late.... Here are some pictures of what our summer was like. *Our dance studio had a picnic. 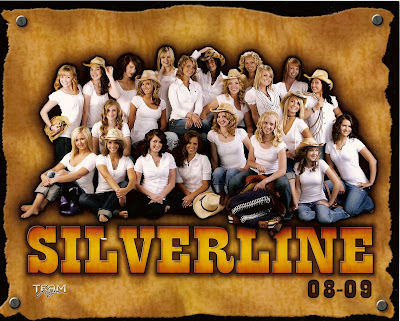 *My drill team got their team pictures. So beautiful! 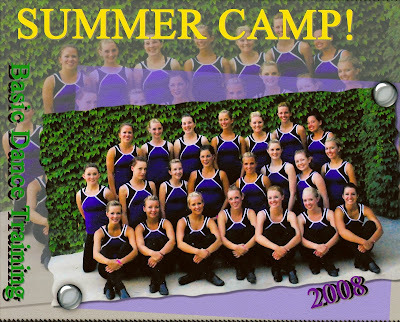 *My drill team went to drill camp. *We watched fireworks with my sister Marinel and her family. *I went to the Journey concert with the Rawlin's family. *We went to the parade of homes. *My team had their first performance. Nice job ladies! *We moved into our new house. Yeahhhhhhhhhhhhhhh! We sold our condo. We will be living with our friends the Rawlins until our new home is finished. It should be about a month until it is done. We are packing our computer so it may be awhile until we are back online. I will try and check everything periodically. Until then... see you all later! So I started drill last week.... and I LOVE it! The girls are so sweet. Everything is going great. We have been getting ready for Drill Camp. Their dance is looking awesome. Here is your first look at my team.